- The Timney Triggers for your Remington 700 will give you a perfect trigger pull for your best accuracy potential. Adjustable for take-up, over-travel, and trigger pull weight from 1.5-4 lbs, these triggers are held to far tighter tolerances than factory triggers... The geometry on these triggers is held to within .0005 inch (5/10,000ths of an inch) for perfect and consistent fit and function! The 511 is the same as the Timney 510 only its left handed. - There are also two main design differences in the Timney Triggers vs the Remington factory triggers: First, the trigger is made from a solid block of heat treated steel with no "connector bar". Second, the Timney Triggers have a completely different and superior safety design that blocks the trigger, not the sear. There is no way to move the trigger when it is on safety, so when you take it off safety, it remains in the same position. (BUT REMEMBER: Never trust ANY safety... Always keep every firearm pointed in a safe direction). - These triggers come with Photo Illustrated Instructions. As always, excellent product from Timney, great price from E Arthur Brown and fast shipping. This is just what my Remington 700 in 257 Weatherby needed. The groups tightened right up. There is no creep and I didn't have to adjust the trigger pull from factory settings. It really breaks like a glass rod. This is what I have come to expect from Timney. Solves the Remington questionable trigger issue for good, reasonably easy install, watch out for bolt release spring very confusing to reinstall, reengage if you let it loose, required small internal woodwork to clear lateral moving safety detent. Looks and performance are excellent. 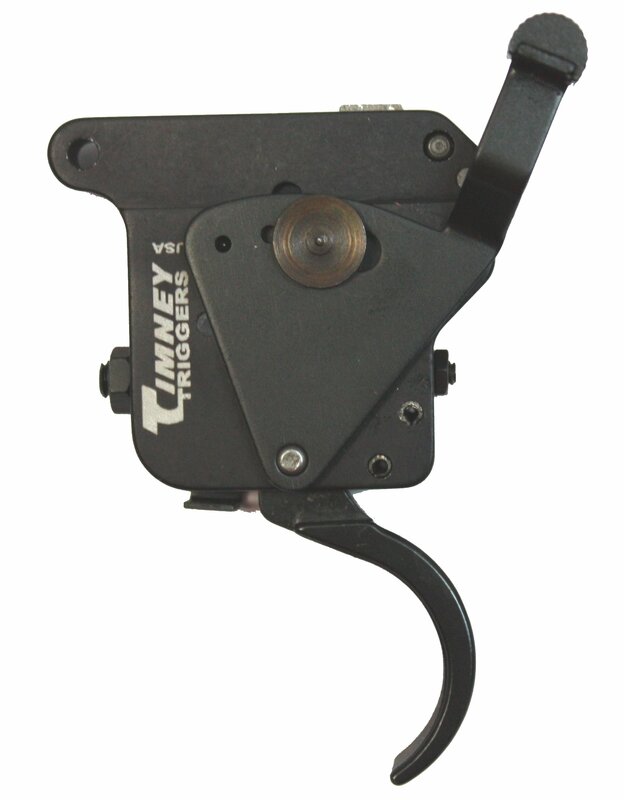 Timney triggers manufactures an easy drop-in installation, smooth trigger. Worked great and would recommend this trigger. Exactly what I would expect to from timney. Clean and crisp. Easy straight forward instructions. I was expecting great and was still extremely impressed with this trigger. The trigger arrived fast. It is exactly what I expected from Timney. The pull is crisp and installation was easy. This trigger fit perfectly in my 700 Rem. 10 times better and safer than that junk that came in the gun from the factory. Keep up the good work Timney. I replaced 2 of my Remington 700 Triggers with Timney's. Its the best thing I have ever done, just dropped right in and the best 3lb pull. Excellent Triggers, I highly recommend Timney. The Timney trigger for the Remington 700 is about as good as it gets. I have installed Timney triggers in just about everyone of my rifles. Terrific product. This trigger was easy to install and is much better than the factory trigger which was under a recall anyway. My stock had to be inletted very slightly.